Angelina Jolie was born on the 4th June, 1975 at 9.09 am In Los Angeles, California. It’s just the BEST when we have the time, place and date of a celebrity birthday – and Jolie is such a beautiful megastar I love looking at her Star Sign Style! A gorgeous (double) Gemini, Angelina arrived when both the sun and Mercury were passing through the sign of the Twins. 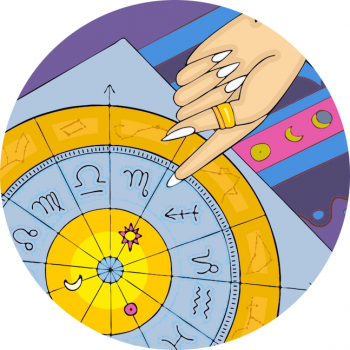 However she boasts loads of assertive energy, with lots of planets in the Cardinal Signs, Cancer and Aries. This gives her a lot of drive to achieve and get things moving. Angelina is Cancer Rising with Venus and Saturn in Cancer too. This gives her a gorgeous, luminous beauty, with the planet of good looks sitting in her first house of appearances – really, lovely and lucky too! Not only does Angelina have the nurturing luna faculties of the moon in Aries, she has energy planet Mars there (the aggressor) and bountiful Jupiter – this dynamic energy spills over in her natal chart! Gemini Rocks A Pixie Cut! Gemini is the butterfly of the zodiac and while this isn’t my favourite beauty style on Ange she does pull off a pixie cut! Gemini’s best color is yellow, while amazing Aries suits red. Cancer suits the shades of the moon – silver, white and grey. Gemini rules the shoulders, arms, hands and fingers, so this is a zodiac sign that can really show off in a halterneck! What do you think of Angelina Jolie and her expression of Gemini? Do you think she suits her Aries side more? Leave your comments below!